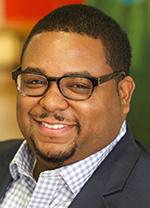 Omari D. Taylor has been named senior director of corporate development for the Detroit based Neighborhood Service Organization, dedicated to supporting families and helping people in need. Taylor is responsible for managing the operations and resources for fund raising, corporate giving and development. He also will oversee the organization’s public relations and marketing efforts. Taylor brings more than 15 years experience in marketing, fundraising, media planning and corporate communication to his new position. Prior to joining NSO, he served as the director of communications and marketing manager at Gleaners Community Food Bank of Southeastern Michigan. He also held various positions at the Detroit Symphony Orchestra, most notably serving as marketing manager. Among his various accomplishments, Taylor was named a 2015 International Ford Motor Co. Fellow, which included attending classes at Columbia University and Yale University in the areas of nonprofit management strategy, fundraising and leadership training. On behalf of Gleaners, he received the 2012 Blackbaud Impact Award for “Best Multi-Channel Campaign,” an award that recognizes a nonprofit organization that uses technology in innovative ways to deliver on their missions. Taylor is a student at Wayne State University and a resident of Farmington Hills.